Have you ever done a professional photo shoot with your family while on vacation? This family did! Hailing from the west coast, I had the wonderful honor of capturing these precious memories for this sweet family! 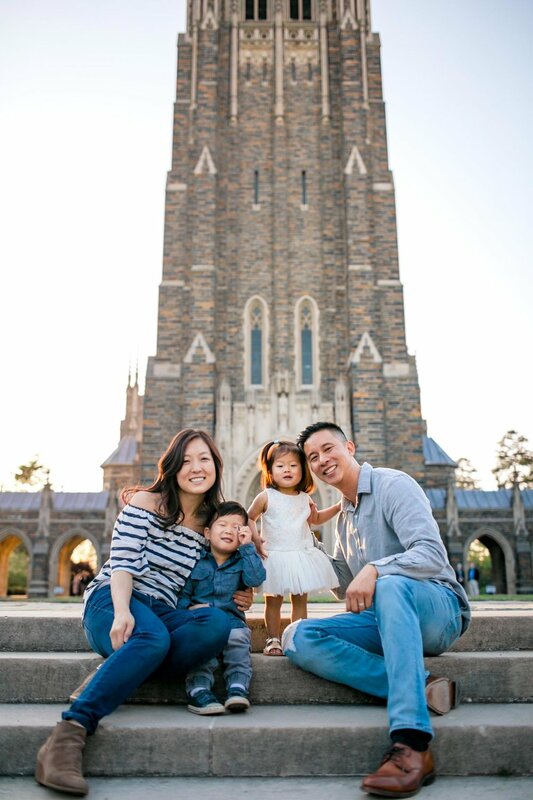 I had so much fun getting to know this cheerful and energetic family who were in town for the Duke Alumni Weekend. Daniel contacted me because he wanted to surprise his wife with a family portrait session at their alma mater. He expressed their love for candid photos and wanted to capture the reality of the moment, which is something I'm all about! We had so much fun playing in the grassy area of Duke Chapel and the nearby trails around the campus. I had such a blast capturing the energy of their son; he had the BEST laughs and loved to move and dance! It was so sweet watching their daughter wanting to follow her older brother, too, and wanting to hold hands and swing with mommy and daddy :) We ended the night with a gorgeous family portrait in front of the chapel! Enjoy the photos! P.S. Husbands! If you're looking for fun and creative gift ideas (especially with Mother's Day coming up!) I highly recommend booking a photo shoot! She would be so happy and feel so loved. Contact me today for a complimentary consultation and we can figure out the perfect portrait session for you! 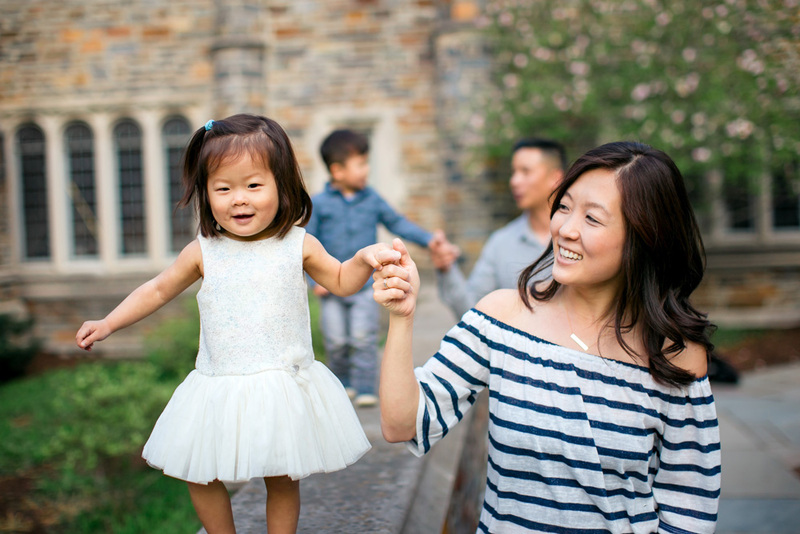 Looking for a family photographer in North Carolina? Contact me for a complimentary portrait consultation! I serve the greater Triangle area including Durham, Raleigh, Chapel Hill, and beyond.